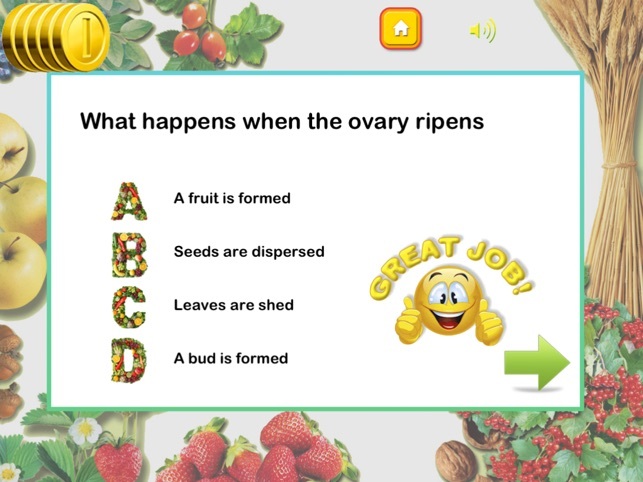 TUAW - as mentioned in "A bushel of educational apps for learning fun"
IEAR.ORG - "Through in-depth subsections, and interactive quizzes students are guided on an informational journey from seeds to pollination to fruit. 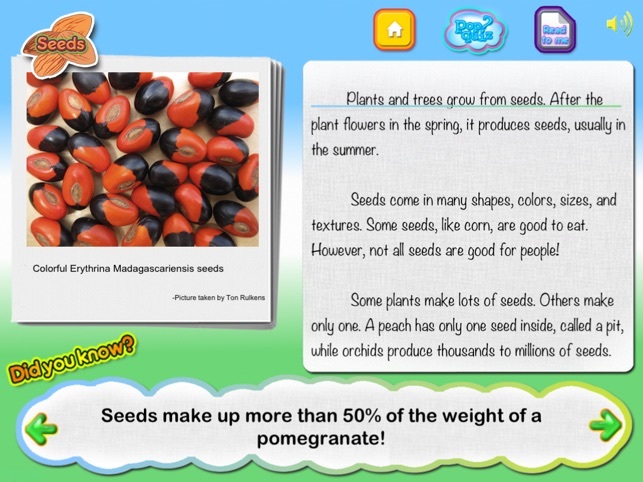 The developers are to be commended for the kid friendly interface, and the great graphics"
APPOLICIOUS/YAHOO EDUCATION - "An excellent app to teach kids almost everything they need to know about plants and growing"
COMMONSENSE MEDIA - "Parents need to know that Plants HD is a solid, effective educational app for kids"
IHEARTTHISAPP - "Plants HD is a highly-educational app that explores the life cycle of plants"
APPS FOR HOMESCHOOLING - "Plants HD is a bright, visually engaging exploration of the plant life-cycle. 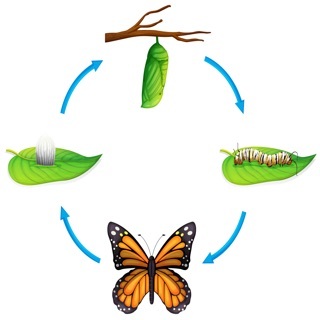 The interactive life-cycle puzzle is fabulous and can be used as a teaching tool for even young children to explain and reinforce the life cycle of plants. The trivia facts are very interesting and the photographs are lovely." 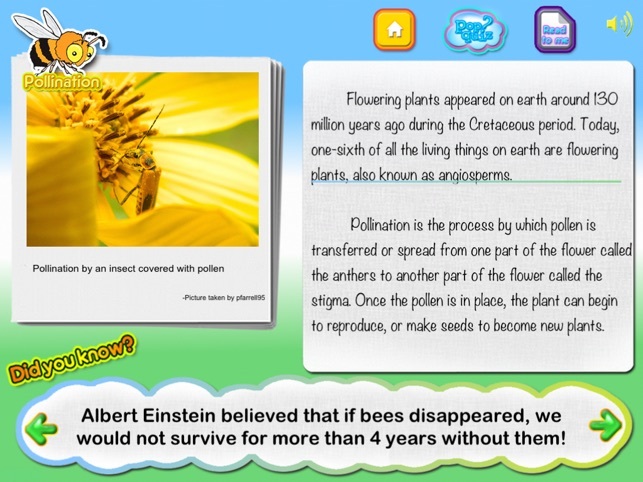 Plants HD delivers high-quality interactive content about plants and their lifecycle. 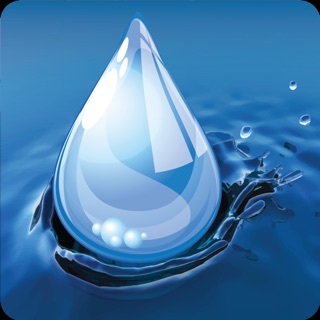 The app provides an in-depth look into topics such as seeds, germination, pollination, flowers, trees, fruits, and dispersal. 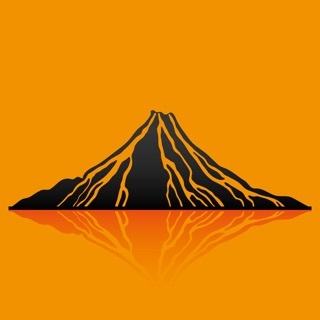 Scientific information about the various topics is combined with quiz and game to enhance the learning. Flip through photos, read content or have it read to you, listen to music while reading, or just play a game. 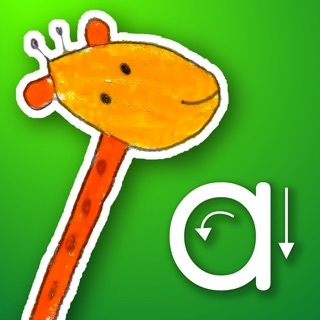 This app was designed to make learning fun and interactive as it should be! 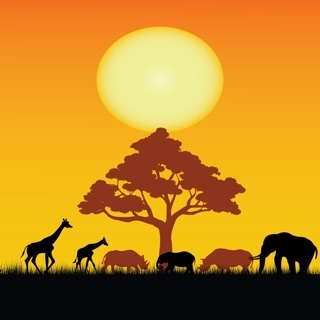 - A honey bee visits about two million flowers to make one pound of honey! - One single cattail may produce a million tiny seeds! - It takes energy from 50 leaves to produce an apple! See curated HD photos on the various topics, taken by people like you. Photos are arranged like a deck of cards that can be shuffled. 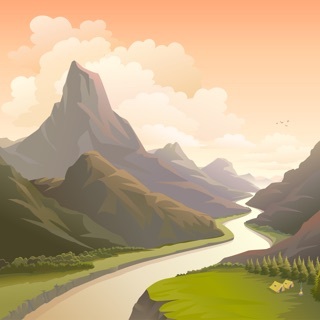 Scroll through content or have it read to you. Let the music play or turn it off during reading. Think you know about plants? Take the quiz. Unlock a level to go to the next level. Earn and collect coins when you get the right answer. Progress from the easy level to the intermediate level and then to the advanced level. Play the game to have fun and to check your understanding of the topics. 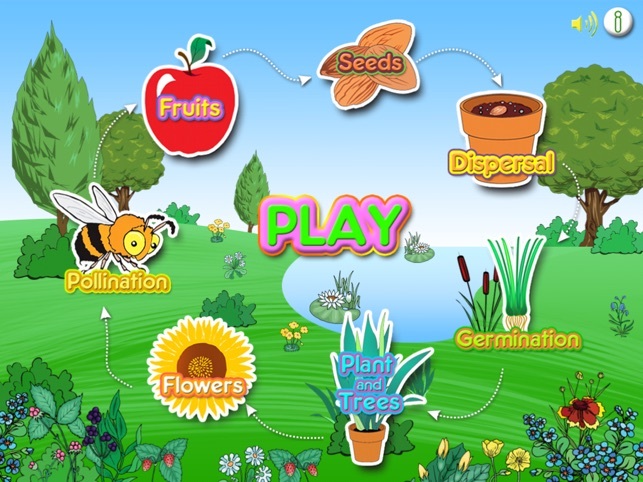 The interactive life-cycle puzzle is fabulous and can be used as a teaching tool for even young children to explain and reinforce the life cycle of plants. The trivia facts are very interesting and the photographs are lovely. 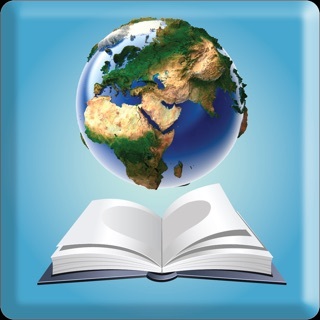 There is quite a bit of detailed information provided for each topic and the optional narration is helpful for struggling readers. 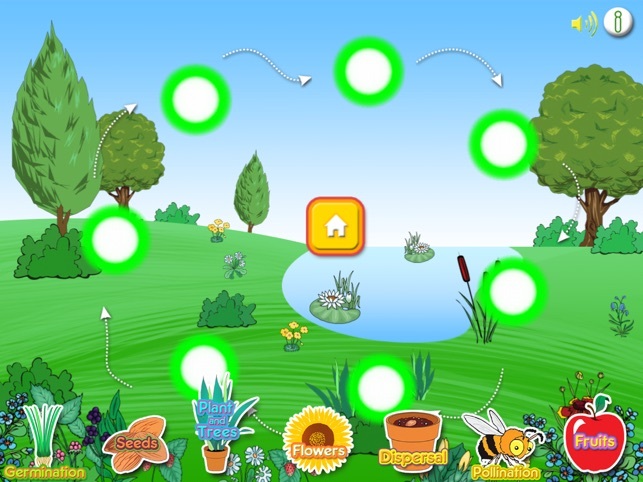 My eight-year-old told me that this is a pretty cool app and my five-year-old quickly learned to assemble the plant life cycle puzzle – a great visual peg for her to hang more detailed knowledge about plants on as she grows. While the app includes many technical terms about the parts of plants, there aren’t any clear diagrams included. 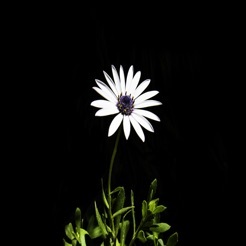 For example – many parts of flowers are described – and while they are at times pointed out in the colorful HD photographs, there is no clear labelling. Because there is a significant amount of text included for each topic, it would be nice if there were a way to hear one paragraph narrated at a time. There is quite a volume difference between the music and the narration so the volume needs to be adjusted often. Plants HD is a bright, visually engaging exploration of the plant life-cycle. While it needs some clear diagrams in order to be a comprehensive resource, this app makes a visually engaging supplement for the study of botany. I received a promo code.